As crazy as it sounds, that means he might owe his life to milk. Not drinking it, but carrying it. When he was in high school, he got up very early every morning, seven days a week, and delivered milk for Brookfield Dairy (now Dean’s Dairy). He left high school in 1938 to work at the dairy full time – until December , 1941. He was sent to Fort Bragg, North Carolina, for basic training. That was right at the time the first U.S. Army airborne units were being organized. John decided to become a paratrooper. The training in jump school was extremely rigorous, but John found himself well prepared for it. In November, 1942, the 509th spearheaded the invasion of North Africa.They flew over 1600 miles from England to conduct a parachute assault on Rafarquay Airport in Algeria. A week later they made their second combat jump on the airfield at Youk-Les-Bains near the Tunisian border. From December 1942 to June 1943, the 509th trained for the invasion of Sicily. John’s company was attached to the 504th Parachute Battalion, part of the 82nd Airborne Division. On July 11, 1943, they took off to for a combat drop onto the beachhead in Sicily. It was night and all the planes were under blackout and radio silence. The American fleet in the Mediterranean mistook them for enemy bombers and shot down 23 planes. John’s made it through, but it crashed into a mountain minutes after the paratroopers jumped. During that jump John got wounded several times. Again, it was sulfa drugs, tetanus shot, and keep on fighting. In five days the division pushed forward 150 miles and captured 23,000 prisoners. After fighting through Sicily, the division landed in Italy and fought northward through Naples. 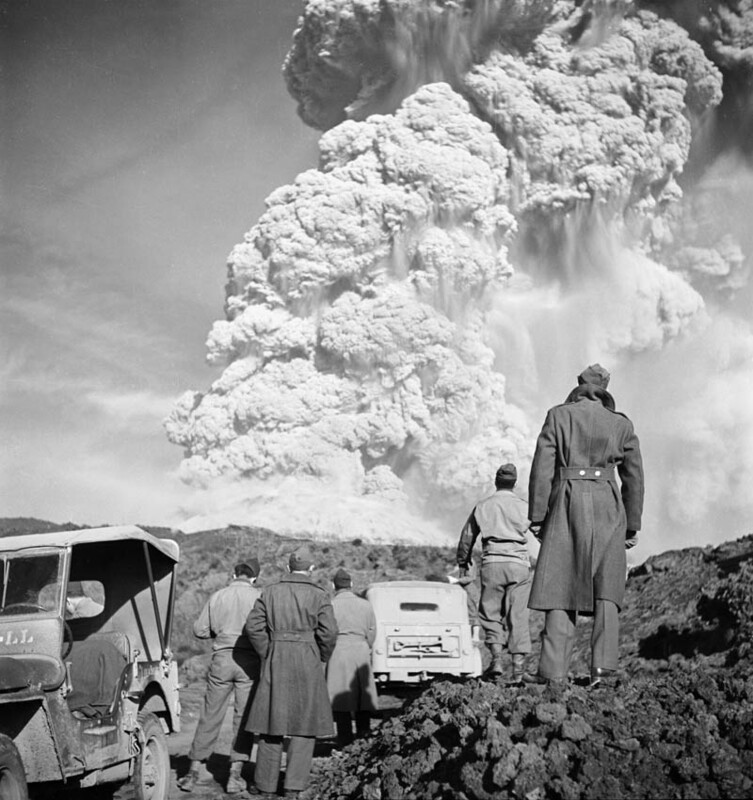 On March 18, 1944, John’s unit was bivouacked about a mile from Mount Vesuvius when it erupted. “They moved us 20 miles away, but you could still see the smoke,” John said. When John came back to Sharpsville, he got a job at Steel Fabricators. After a few years he got laid off, but quickly got a job at Sawhill Tube. That was about the time John met Ann Gray at Ward’s Dairy, where Jess’s Restaurant is now. Ann finished two years of school in Sharpsville, graduating in 1952. She went to work at the Sharon Herald in advertising. John and Ann got married on May 28, 1955. They had four children: Stephen (August 1956), Edwin (August 1957), Daniel (March 1959), and Beth (September 1966). While raising their family, Ann worked at Sharon Stationery for 20 years, and John worked at Sawhill for 30 years until he retired in 1985. For many years John and Ann have been active in the General Ridgway Chapter of the 82nd Airborne Division Association, in Dayton, Ohio. They go there two or three times a year for various events. They attend as many of the association’s annual conventions as possible, and helped put on three of them. Since 1986, they have gone to Fort Bragg for the annual 82nd Airborne Division’s annual review. The whole division marches in review, preceded by the division’s veterans. The most memorable moment for John and Ann came in 2002 at the celebration of the 60th anniversary of the airborne. One World War II veteran was selected from each 82nd Airborne unit that fought in that war. John was chosen to represent the 504th. He rode in the review with the veterans, then stood beside the commanding general on the podium as the Division marched by. Ann and John keep fit by participating in “Silver Sneakers,” a Seniors exercise activity at the Hermitage YMCA. They go three times a week to participate in group exercises designed to keep them flexible and strong. They appreciate not only the exercise, but also the social aspects of the group. Some of the effects of John’s World War II ordeal persist to this day. He freely expresses his appreciation for the one who takes good care of him.